There are a number of people who can realistically be called the greatest football managers ever. The likes of Bob Paisley, Bill Shankly, Udo Lattek, Brian Clough and Valeriy Lobanovskyi will always be mentioned in any such list, and then you have the footballing ideologues; men who transformed the way the game is played – Helenio Herrera, Rinus Michels, Johan Cruyff and Arrigo Sacchi. Some modern greats may also make it to the discussion – Jose Mourinho and Pep Guardiola being the two most obvious names. But the one to take the cake, in my opinion at least, has to be a man who enjoyed tremendous success in his native land, before crossing the border and helping to create one of the biggest, if not the biggest, football clubs in the world through an unbelievable spell of success on the field. He was even knighted in the process, and well, if it’s good enough for the Queen, it’s good enough for me. 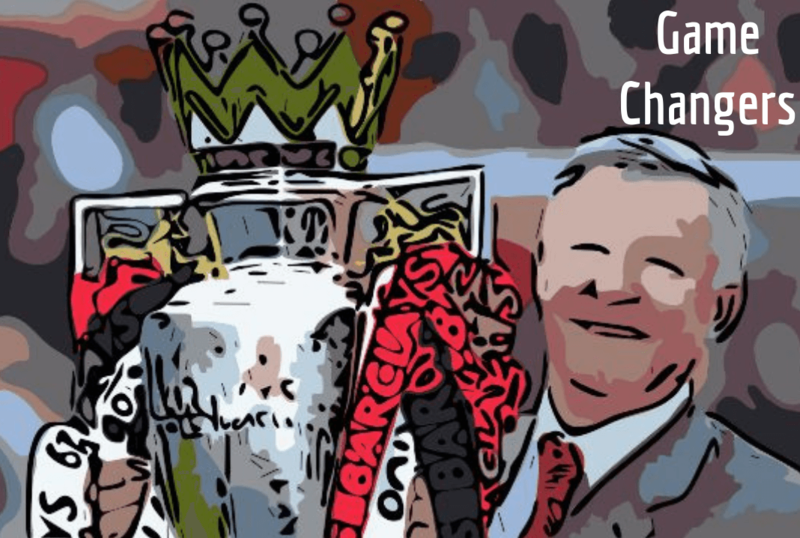 I am, of course, talking about the giant figure of Sir Alexander Chapman Ferguson. Sir Alex had a decent playing career as a striker, turning out for Queen’s Park and St Johnstone before turning professional after a move to Dunfermline in 1964, which was partly the result of a hat-trick he scored against future side Rangers. His time at East End Park was a mixed bag; the side missed out on the league by a point and lost the Scottish Cup final to Celtic during the 1964-65 season, but the following year saw Ferguson finish on the top of the league goalscoring charts with 31 goals. These exploits would prompt a move to Rangers for £65,000, a record transfer between two Scottish clubs at the time. Ferguson did well at Ibrox, particularly in Europe where he scored important goals in the Inter-Cities Fairs Cup, but he eventually moved to Falkirk after just two seasons in Glasgow after being blamed for one of the goals conceded in the 1969 Scottish Cup final loss to Celtic. His time at Brockville would see him take his first steps as a coach, being promoted to player-coach for a while due to his experience, and after four years at Falkirk, he eventually wound down his career at Ayr United in 1974. Sir Alex’s initial foray into management led him to East Stirlingshire and then to St Mirren, where he won the Scottish First Division title in 1977 with a team whose average age was just 19, dubbed ‘Fergie’s Furies’. The side had been languishing at the bottom of the Second Division when he arrived, making the transformation even more remarkable, and the parting of ways even more traumatic. Ferguson was sacked in 1978 for alleged breaches of contract, including drawing extra expenses to pay younger players and intimidating his office secretary, in order to make some of his players’ expenses tax-free. The Saints’ fanbase was left shocked by the move, and there is still anger in the town of Paisley till today about ‘the one that got away’. The aforementioned incidents do show how Ferguson had a need for complete control, as well as unswerving loyalty towards his players; qualities that would be displayed in abundance in his subsequent career. Aberdeen won the title that season by a point over Celtic, and it would set the foundation for an unprecedented spell of success under Ferguson. It would be at Pittodrie that Ferguson would begin to make a name for himself, and not just for his managerial ability. He gained a reputation for being a strict disciplinarian and was nicknamed ‘Furious Fergie’ by the squad. His ability to manipulate the press to create a siege mentality around his club also showed its first signs here, as Ferguson was relentless in his accusations of a ‘Glasgow bias’ in the media, referring to their perceived favourable coverage of Celtic and Rangers. A trophyless season followed before back-to-back Scottish Cup wins in 1982 and 1983; the latter of which would be the first of two glorious years for the club. Ferguson had come close to repeating his league win, finishing as runners-up in 1980/81 and 1981/82, and in third place in 1982/83 where they were only a point behind the champions, Dundee United. However, Europe would be the stage for Aberdeen that season. They had qualified for the Cup Winners’ Cup that season following their Scottish Cup win the previous year, and had done well in the UEFA Cup as well, beating defending champions Ipswich and reaching the quarter-finals before tripping up against Hamburg. Aberdeen started their campaign with a 7-0 shellacking of Swiss side FC Sion, followed by a more sedate 4-1 away win for an 11-1 aggregate victory. They beat Dinamo Tirana and Lech Poznan in the subsequent rounds without conceding a goal, and then faced their biggest challenge so far in the quarter-finals; the mighty Bayern Munich, with the likes of Paul Breitner, Karl-Heinz Rummenigge and Uli Hoeness in their ranks. Sir Alex understood the importance of getting an away goal, so while most observers were satisfied with a 0-0 draw in Munich for the first leg, he was reported to be unhappy with the result in the dressing room, especially as his side had hit the post twice. It looked like his fears would be realised as the second leg began, with Bayern taking an early lead through Klaus Augenthaler. However, the Dons managed to scramble an equaliser five minutes before half-time via Neil Simpson; nevertheless, a weak header from defensive rock Alex McLeish allowed Bayern to get back in front on the hour mark, with two away goals meaning that Aberdeen now had to score twice to go through. This would lead to a piece of invention from Gordon Strachan, one that McLeish says was ’embarrassing’ when they tried it on the training ground. Strachan and John McMaster both ran up to take a free-kick on the edge of the box and then stopped as though they’d confused each other. The Munich defence paused, and that break in concentration was all that was needed as Strachan quickly whipped the ball in for McLeish to head home. The Germans had been ‘caught cold’, in McLeish’s words, and as they continued arguing with each other in the aftermath, John Hewitt popped up to score the eventual winner within the next minute, sending Pittodrie into uproar. It would be one of the most famous nights in Scottish football history, and Willie Miller, captain of the side and one half of Aberdeen’s formidable defensive duo along with McLeish, has said that it gave them the confidence to believe that they could actually go on and win the competition. The semi-final was a much simpler affair – Aberdeen were two goals up against Belgian side Waterschei Thor inside five minutes, and ended up winning the first leg 5-1, effectively sealing their place in the final against Real Madrid. The final was in the Swedish city of Gothenburg and is recalled to this day by Dons’ fans, not only because of the game itself but because of the two-day boat voyage that had to be undertaken to reach the city in the first place. 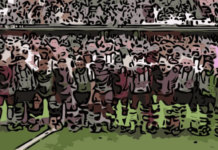 The two teams walked out into a cauldron of noise, with the likes of McLeish, Doug Rougvie and Neil Simpson shouting and screaming at the Real players in an attempt to unsettle them; an attempt that worked, according to Miller. Once again, Aberdeen scored early, and once again it was a set-piece routine from the training ground that gave them the lead. McLeish arrived late at the edge of the penalty area from a corner, but his shot was saved by the keeper. Fortunately for the Dons, a heavy downpour had led to water clogging the pitch, and as the ball got stuck in the mud, Eric Black took full advantage. 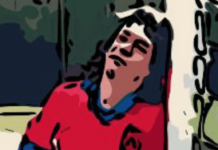 But the water would play its role against Aberdeen as well, as a back-pass from McLeish to his keeper Jim Leighton got stuck, and led to him having to concede a penalty from which Los Blancos equalised. Ferguson’s temper was awe-inducing, and he reportedly had a go at McLeish in the dressing room, leading to the defender having to take cover behind three or four players. The second half was evenly matched, with neither side able to dominate proceedings, leading to extra-time. Eric Black, the goalscorer, had been substituted for John Hewitt, and this would turn out to be an inspired move, as he scored with a glancing header from Mark McGhee’s cross in the 112th minute to give the Dons a famous victory. It was only the third time a Scottish club had won a European trophy, and the celebrations in Gothenburg and back in Aberdeen were raucous, to say the least. They picked up the Scottish Cup, beating his former club Rangers 1-0 in the final, but Ferguson was not pleased, as he called his team’s performance ‘disgraceful’. He may have apologised later, but the team had been made abundantly aware of the standards expected from them, and they proceeded to deliver one of the greatest seasons in Aberdeen’s history. Aberdeen went and won the European Super Cup the following season, beating Hamburg over two legs to add another European trophy to their cabinet, but fans were now craving a league title, having gone three years without one and missing out by narrow margins each time. Ferguson had built a superb team, with Leighton a rock in goal, protected by McLeish and Miller in front of him, and the likes of Neil Simpson, Neale Cooper and Doug Bell supporting in midfield. Peter Weir and Strachan were brilliant out wide, and Ferguson had three in-form strikers in Black, McGhee and Hewitt. Aberdeen started the 1983-84 season as favourites for the title and underlined those expectations with a 3-0 opening day win over Dundee FC. However, they had slipped three points behind Dundee United, Celtic and Hearts by the time autumn arrived, and this was in the time of two points for a win. A 2-1 loss against Hibs led to Ferguson blowing his top publicly again, and after a laboured first win in their defence of the Cup Winners’ Cup, Ferguson stated that he was considering breaking up the team, accusing them of a lack of professionalism. The threat worked, as Aberdeen went on a 27-game unbeaten run in all competitions, taking 30 out of a possible 32 points in the league in the process. The season ended with Aberdeen winning the title with four games to spare, while Leighton and the defence conceding only 21 goals, keeping 21 clean sheets in 36 games. Aberdeen also won the Scottish Cup for the third year in a row, with a 2-1 win in extra time over Celtic making them the first side outside the Old Firm to do the double. 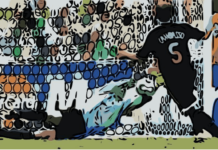 The cherry on the cake was the European Super Cup win, along with a strong defence of the Cup Winners’ Cup, as they lost in the semi-finals to Porto. The end of the season would see Strachan, McGhee and Rougvie leave for Manchester United, Hamburg and Chelsea respectively, leaving Ferguson with a rebuilding job, one that he would relish and perform superbly. Check back on Wednesday for Part Two of Ferguson’s managerial journey.